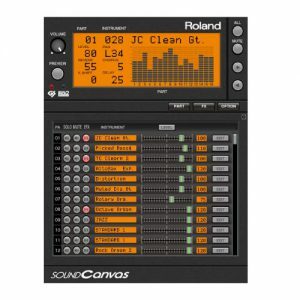 With the development of SuperNATURAL sound and Behavior Modeling technology, Roland has blurred the boundary between acoustic and electronic instruments. 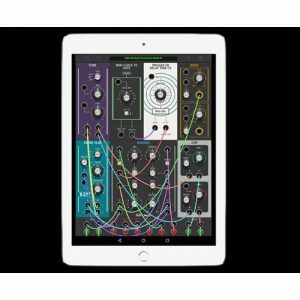 Built upon these core technologies, the new INTEGRA-7 gives musicians a gold mine of the latest SuperNATURAL sounds in a fast-access, fully stocked 16-part module. The powerhouse rack comprises a “greatest hits” collection of sounds from Roland’s flagship keyboards and V-Drums modules, plus a coveted lineup from the legacy SRX library. It also introduces a new technology called Motional Surround, a 17-part ambience engine that lets you graphically control the distance and position of each part within 360-degree sound field. With the immense power of the INTEGRA-7, you can create amazingly realistic and detailed orchestral arrangements, immersive, spatial sounds, and beyond. The core of the INTEGRA-7 is its SuperNATURAL sounds with Behavior Modeling technology. SuperNATURAL not only mirrors the sounds of acoustic instruments, it also simulates the behavior of instruments when they’re played. With SuperNATURAL, sounds come to life under your fingers. Whether used in acoustic or electronic domains, the INTEGRA-7 puts a world of expressive sound in your hands. Go deep inside the programming engine and customize your own sounds, or let the INTEGRA-7 do it all for you. With so many great sounds onboard, and with the INTEGRA-7’s organic response to how you play your keyboard/controller, you’ll experience a new level of realism and effortless expression. This gorgeous grand provides smooth, seamless tonal changes from soft to hard keystrokes, and natural decay with no “looping”. The notes fade beautifully and organically. You can adjust a variety of parameters to customize the sound. Recreations of legendary EPs are onboard, including ’68 Reed, ’73 Stage, ’78 Pure, ’76 Tine, and ’81 Tine. These expressive pianos feature realistic key-off noise and dedicated effects, including a newly created phaser. Reproduce chord fingerings, strumming, and melodic performances of steel-, nylon-, and 12-string guitars, as well as Flamenco guitars, ukulele, and mandolin. The INTEGRA-7 also contains several electric guitar models, including a single-coil Strat, and even an amp simulators such as the Roland JC-120 Jazz Chorus, stack amps, and more. Electric guitar techniques such as the “Jazz octave” phrase can also be performed easily. Pitches transition naturally from note to note when playing tied legato-style melody lines. Effortlessly realize portamento, pizzicato, staccato, and tremolo techniques that are unique to instruments such as violin, viola, cello, and double bass. The INTEGRA-7 faithfully reproduces the dynamic changes of tone colors unique to brass instruments — including the over-blowing technique of a saxophone, and the distinctive pitch-bend behavior of a French horn. Perform staccato, fall, and growl techniques with stunning realism. Instruments from around the globe are onboard, such as the Shakuhachi (Japan) with authentic pitch and tonal fluctuations caused by breath amount, Erhu (China) with the distinctive pitch bend when transitioning from note to note, Sitar (India) with realistic string resonance, and Kalimba (Africa) with unique vibrating noise of the board and tines. The built-in “ExSN1 (Expansion SuperNATURAL) Ethnic” sound pack can be loaded into a virtual slot for more sounds. The INTEGRA-7’s SuperNATURAL powers also reach beyond acoustic instruments. It’s loaded with SuperNATURAL synth tones that meticulously recreate the fat sounds of beloved vintage synthesizers, including their expressive filters and unique envelope behaviors. Hundreds of PCM waveforms are on board as well, providing a treasure trove of classic digital synth sounds prevalent in the ’80s and ’90s. You can even edit the sounds intuitively from compatible DAW software with the dedicated INTEGRA-7 plug-in editors for Mac (AU/VSTi) and Windows (VSTi). In addition to the expressive acoustic tones and full-blown synth engine under the hood of the INTEGRA-7, you’ll find a SuperNATURAL drum engine derived from Roland V-Drums. Thanks to Behavior Modeling Technology, the INTEGRA-7 can groove like a real drummer. Drum kits respond smoothly and naturally to velocity, with seamless tonal transitions from soft to loud. Play fast drum fills that don’t sound like fake machine-gun fire, and create fluid snare, tom, and cymbal rolls with real-time control of their speed and volume via mod lever. The drum engine even has its own ambience effect, plus six COMP+EQ sets, which you can apply to the drum instruments individually. The newly created SFX kits offer a variety of stunningly realistic sounds, such as car crash, door slam, footsteps, birds, river, and more. 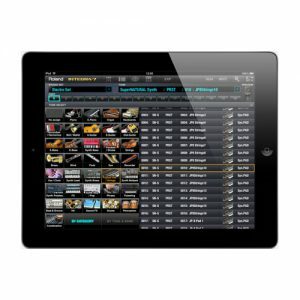 Great for film scoring, some of the effects offer real-time control. For example, using the mod lever, you can realistically control the sound of a virtual audience (the amount of clapping and cheering) or the sound of an ocean tide, rain, and wind. 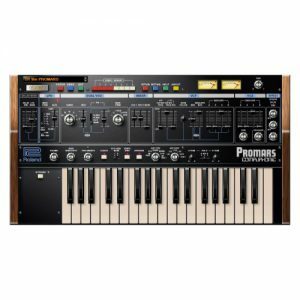 Roland has a long, celebrated history of creating top-selling synthesizers, and many musicians still rely heavily on their legacy gear. With the INTEGRA-7, a “greatest hits” collection of previous Roland synths is built in. All of the sounds from the XV-5080 are on board, plus all 12 titles from the SRX Expansion libraries, including SRX-05 Supreme Dance with essential electro sounds from vintage TR-808 and -909 drum machines, SRX-06 Complete Orchestra with a huge collection of orchestral instruments and dramatic sound-effects, and SRX-09 World Collection that’s like an audio encyclopedia of ethnic instruments including rare, hard to find samples. The INTEGRA-7 is equipped with four virtual expansion slots, which can be used to load four SRX libraries simultaneously. With all of these classic sounds instantly available, plus a new stockpile of enhanced SuperNATURAL sounds, the INTEGRA-7 brings the past, present, and future together in one convenient instrument! Notes: Since the INTEGRA-7 uses the latest MFX engine, the onboard SRX expansion libraries will not sound identical to previous sound modules and synthesizers. The INTEGRA-7 cannot load data from the XV-5080. The INTEGRA-7 introduces a new era of spatial sound design. 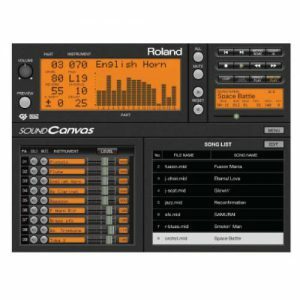 Motional Surround — derived from Roland’s proprietary RSS (Roland Sound Space) technology — lets you control not only the left/right panning of sounds, but also their depth, even placing them behind you! A solo instrument can be placed nearby, for example, while the backing or percussion instruments can be placed at a distance, thus creating a sound field with natural width and depth. Motional Surround is particularly stunning when applied to orchestral simulations. This exciting new sound processing can also be applied to external audio—just connect an audio player or instrument to the INTEGRA-7’s inputs and immerse it in Motional Surround. Adjust the parameters in real time via MIDI, or with the free plug-in editors for Mac and Windows. Motional Surround supports two-channel output, so you can experience the effect with just two speakers or headphones! 5.1-channel output is also supported for maximum impact with five speakers and a subwoofer. The hardware design of the INTEGRA-7 is stylish and sturdy. 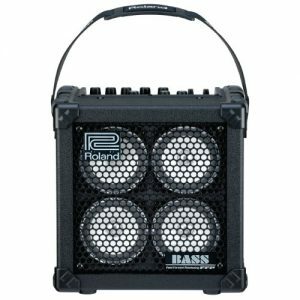 Housed in a rugged metal chassis, it’s beautifully designed and built to withstand decades of use, whether in a studio or a touring road rack. The INTEGRA-7’s internal components are premium grade, including high-quality, low-noise D/A converters. It’s also equipped with dedicated effects engines, so you don’t have to worry about CPU load; each of the 16 parts can have their own MFX and EQ, rather than sharing the same effects for all parts. Across the INTEGRA-7’s front panel are dedicated buttons for accessing sounds and effects quickly, plus a large value dial surrounded by navigation keys. The LCD is easy to see, and you can adjust its contrast and brightness to suit the viewing angle and lighting conditions. 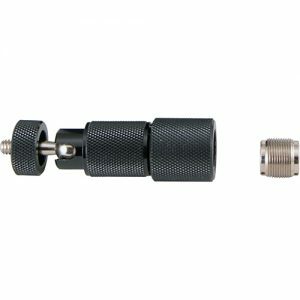 On the rear panel is an array of versatile connectors, including stereo XLR outputs, eight individual 1/4-inch phone outs, a digital (coaxial) output, MIDI in/out/thru, and a USB port that supports audio streaming at rates up to 24-bit/96 kHz. For convenience and flexibility, input jacks are provided on both the rear and front panels. 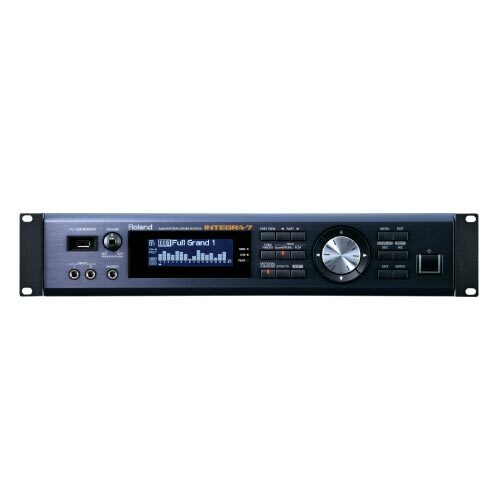 The INTEGRA-7 is packed with innovative and powerful features, including a Tone Finder wizard that organizes the 6,000-plus onboard sounds into logical categories for quick location. Simply press the dedicated Tone Finder button and choose your category; once you find a sound, press the volume knob/button to preview it. The preview plays a suitable phrase for each sound, so you know what kind of articulation behavior it’s able to produce. 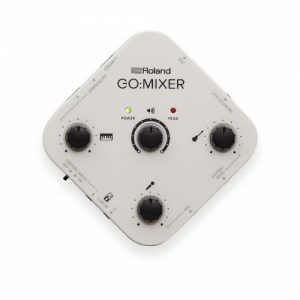 Other noteworthy features include an ultra-high-quality GM2 sound set (which uses all four virtual slots) for playing SMF files via external sequencers, six additional SuperNATURAL sounds (which use one virtual slot each), and a convenient front-panel USB memory port for storing your settings on a USB thumb drive. And with the free plug-in editors for Mac and Windows, you’re able to select sounds, load 16-part Studio Sets, and control the INTEGRA-7’s synth parameters, part mixer, and Motional Surround directly from your music production software. Roland’s A-88 and A-49 MIDI controller keyboards are perfect partners for the INTEGRA-7. Each keyboard is equipped with a SuperNATURAL button that automatically assigns the INTEGRA-7’s most appropriate parameters to the mod lever, knobs, and D-BEAM for controlling the selected SuperNATURAL sound. Make the INTEGRA-7 a star player in your music production, performance, and education experience. The INTEGRA-7 has over 6,000 internal sounds that span a complete musical universe of styles. To have the equivalent on your computer, you’d need to instantiate several soft synths and concern yourself with RAM and CPU overload. INTEGRA has practically every sound in every category for music and film-scoring production — from essential acoustic sounds such as pianos, brass, drums, and strings to ethnic instruments from Asia, Africa, and the Middle East. It also contains a wide variety of SFX patches for adding dramatic impact to your songs and soundscapes. Activate Motional Surround to add new dimensions to your sound, such as orchestral simulations with stunning depth and realism! If you need high-quality tracks for broadcast, and you need them fast, you can feed the INTEGRA-7 Standard MIDI Files and marvel at the beauty of the internal GM2 sound set. By using Motional Surround, you can also create jaw-dropping sound effects and jingles with incredible motion and depth. 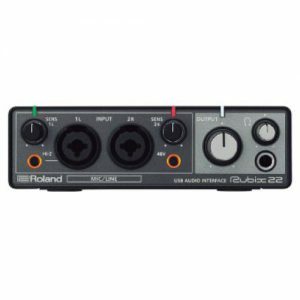 If you have a stockpile of pre-recorded jingles and effects clips, you can run them through the INTEGRA-7’s audio inputs and apply Motional Surround to those recordings. 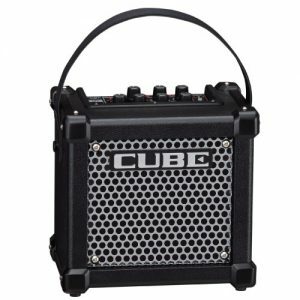 When teaching music composition, the INTEGRA-7 is a useful tool to demonstrate sounds and instruments of the world, all from within a self-contained, dedicated device. With a recommended A-49 or A-88 MIDI controller connected, and a single press of the SuperNATURAL button, you’re instantly ready to take full advantage of the INTEGRA-7’s highly expressive sounds. Teachers and students can conveniently store and carry their custom settings via a USB thumb drive. * The following titles are loaded from the internal memory into the virtual slots. * The SRX Series and the Expansion SuperNATURAL Sounds use one virtual slot per title. * The Expansion Hi-Quality PCM Sounds use all four virtual slots. 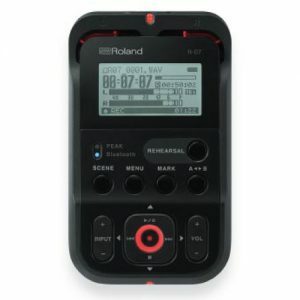 * Use USB flash memory sold by Roland. We cannot guarantee operation if other products are used..